Doctors routinely tell patients to watch their diet, get regular exercise, and lose weight. They also increasingly prescribe “cholesterol lowering” drugs that patients will take every day for the rest of their lives. The pill makes us feel like we’re doing something, so we slack off in our goals for a healthier lifestyle. To make matters worse, the pill solves only a portion of the problem, giving us a false sense of security. Your aging process depends on the health of your arteries. Richard Furman, MD, FACS, spent over thirty years as a vascular surgeon. 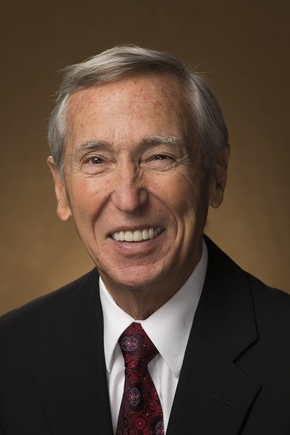 The author of Prescription for Life, Furman is past president of the North Carolina Chapter of the American College of Surgeons, past president of the North Carolina Surgical Society, and a two-term governor of the American College of Surgeons. He is cofounder of World Medical Mission, the medical arm of Samaritan’s Purse, and is a member of the board of Samaritan’s Purse. He lives in North Carolina. 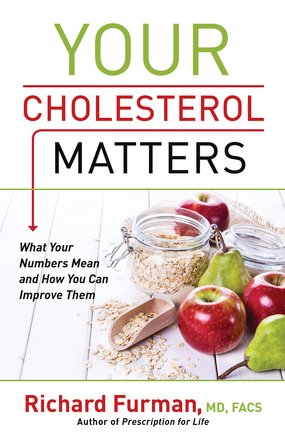 Dr. Furman explains that our total cholesterol is made up of LDL, bad cholesterol, and HDL, good cholesterol. If we’re not doing something about the high levels of LDL in our blood, this will negatively impact our arteries and our overall quality of life. This is because LDL acts as tiny splinters that get into the walls of arteries. On the other hand, HDL acts as a small police car that travels through arteries and plucks out and disposes of the LDL. Ideally, one would have a total cholesterol below 200, with LDL being below 100 and HDL being above 50. If you’re trying to reach ideal cholesterol numbers, you should first try to reduce LDL through eating healthy. Medical literature has shown that there are bad fats that cause damage to arteries through LDL found in red meats, dairy, and fried foods. Studies show that if you cut out bad fats, but substitute sugar for those bad fats, that also hurts your arteries. Instead, you must substitute bad fats with good fats, such as fish, nuts, and olive oil. In addition to reducing LDL, you can also increase HDL levels. This is achieved through losing weight if you are overweight and exercising regularly. These activities, when combined with eating an appropriate diet, will help to bring your cholesterol numbers into the ideal range. The more you know about managing your cholesterol, the easier it is to adopt the lifestyle that will add years and quality to your life. When a book written by a professional speaks in layman’s terms, I love it. This was a very easy book to read and one that I’m glad I picked up at the beginning of the year. It helps me keep my (sometimes) very unevenly balanced priorities in place. The action steps at the end of chapters (example below) were simple and easy to follow. you will communicate about your progress. Develop your goals together. 2. Buy two or three types of fat-free salad dressing to replace your current dressings at home. 3. Eat nothing fried for the next week. I know that there are different schools of thought with regard to what fats are ‘good’ or ‘bad’ and I’ll soon share another book that somewhat contradicts this one. However, like I said, I got a lot of out this book.